What can be worse than when you have an automobile accident in a foreign country and I have had that experience here in Cyprus some years ago when my car was hit in the rear in Lefkosa. I rang my contact and they alerted the police who duly arrived and after checking my documentation the police directed me to follow the offending driver to a workshop and said he will pay and if he doesn’t we will be very angry. Soon I arrived in Haspolat at the Active Garage where my car was inspected and the offending driver was seen to be signing forms and after this a staff member from the garage returned with me to my home in Girne and then took my car away for attention at the garage the following day. Maybe four or five days later I hitched a lift to collect my very clean and dent free car and was delighted to be told there was nothing to pay. Following up a lead recently I returned to Haspolat and discovered that Active Garage has transformed like a beautiful butterfly into an AUTO KING franchise and how amazing was its transformation. 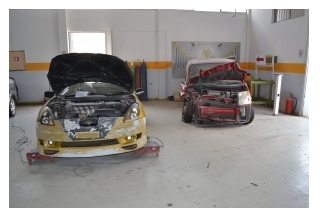 AUTO KING franchising is a Turkish company aiming to repair small and medium size damage with quick repair techniques and know-how, on interior and exterior parts of motor vehicles. 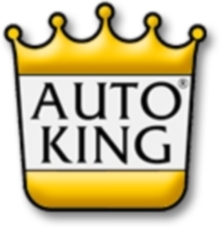 AUTO KING commenced its activities in Turkey on January 1st 2001 following a preparation period of 6 months in Turkey and the USA. The founder of the AUTO KING, Mr. Fazıl Yücetin has been a professional in the Automotive Sect or in Turkey for 25 years holding various posts in production, design and development, sales and marketing, after-sales and CEO positions without any interruption until the year 2000, following his graduation as a Mechanical Engineer in Istanbul. Fazıl Yücetin has combined his accumulated knowledge and experience over the years, together with the most advanced American based quick repair techniques and created the AUTO KING franchise business model with the understanding of fixing a damaged part instead of replacing it thus aiming to save time and money to those who pay the bill, motor vehicle owners and insurance companies and also contrıbuting added value to the country’s economy. AUTO KING continues to render its innovative services and business models to individuals and corporate business partners with its own customer orientated service understanding and 1,200 pages ISO 9001:2000 Quality Management Standards through a quality AUTO KING Service Workshops Network widely available throughout Turkey and developed every year. 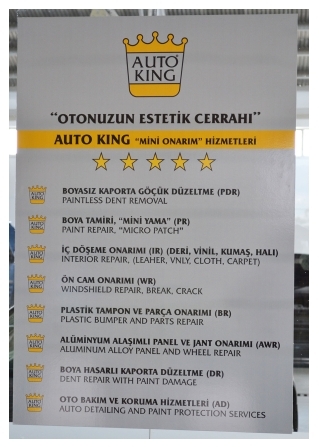 AUTO KING is located in 36 major cities of Turkey and 1 major city of KKTC, active at 44 Service Centres with 93.000 m2 covered service area, 1,300 dedicated and trained man power and 95 AUTO KING Mobil Service Vehicles fleet. 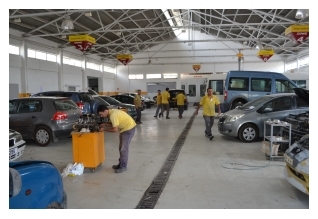 AUTO KING – Lefkosa – Haspolat Service Centre has 1.250 m2 covered service area and 16 trained personnel, 2 mobile service vehicle, whereas AUTO KING – Lefkosa – Centrum has 500 m2 covered service area, 6 trained personnel and is situated in the centre of the one way system by the Kyrenia Gate. AUTO KING – North Cyprus under the direction of Kerem Can is dedicated to provide its customized “Micro Repair”, and “Mobile Parts Repair” b2b services to the insurance companies located in Northern Cyprus as well as its collision repair and auto services to retail customers with its unique customer satisfaction orientated processes. 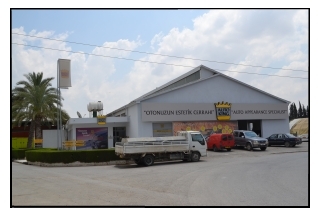 From the perspective of the North Cyprus AUTO KING operation, Kerem Can the Franchise Manager – North Cyprus in Haspolat had the following to say “Auto King is an American brand service with all of the modern techniques and kno whow which has been brought to Turkey by Mr. Fazıl Yücetin where there are now service centres in 36 major cities in Turkey and of course, two here in Lefkosa. The worldwide Auto King concept of repair work is to make repairs whilst leaving the vehicle in its original state where possible, that is to say to repair and recondition parts which is faster and less expensive than traditional methods of off with the old and on with the new which can be very expensive and time consuming..
All of the work undertaken here is logged onto worksheets with a bar code system with individual workers being monitored here by a quality inspector as well as the whole repair and maintenance operations being logged on to a computer controlled management and quality control system based in Turkey that ensures we are always striving for the best possible service for our customers. 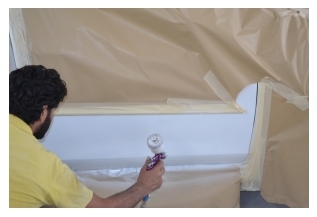 When the repair work commences our customers are updated on progress to reduce their worries and make them happy. Like our colleagues in Turkey we have mobile service vehicles that respond to requests for help from private customers and those who with insurance companies are working with us. On arrival photos are taken of the damage by our servicemen and fed into our system when a quotation and work period is stated and highly competitive prices quoted. Daily we receive calls and our vehicles are travelling throughout North Cyprus and can be arriving within a few hours to start the help process. To our English speaking friends, they should not be concerned at the distance involved, we are here to respond and will give guaranteed work. 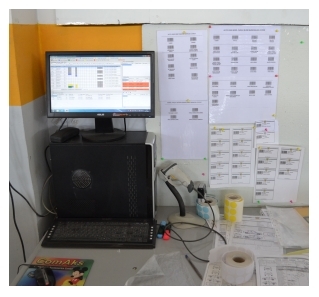 For example, if a vehicle repaired here visited Turkey and the repair work came into question, by visiting a local Auto King service centre in Turkey the problem in question would be accessed through the system and arrangements made to correct the fault as deemed necessary. I think this is what our English speaking friends are looking for, reliable and guaranteed service levels with a minimum of problems or misunderstanding”. Like all experiences, they are personnal and I have seen Auto King at work and thought it to be a very impressive company and shows how new ideas and concepts are coming to North Cyprus. Our readers should carry out their own reserch and take up the option this company offer, as they see fit. For more information call (0392) 233 59 99 or visit their web site AUTO KING click pictures below to see gallery.